One of the noted ‘symptoms’ of autism is having an intense interest, or obsession for a particular object or topic. Our children can quickly become subject matter experts in areas beyond their years. As parents we’re told we need well-rounded children and that we need to develop more than one interest in our children. And while that is true, it is often next to impossible when raising a child on the spectrum. We’ve been ‘lucky’ that MJ’s obsession comes in the form of something that is easy to foster – animals. She has a passion for animals of any kind, but an obsession with turtles and horses. She has watched numerous documentaries (geared well above her 4 years of age), has oodles of animal books, and can tell you 1,001 facts about just about any animal you can name, including many I’ve never heard of. She can name a massive amount of turtle species and tell you the difference between a bradypus and choloepus sloth (hint: it has to do with the number of toes). Her absolute favourite television show is the Wild Kratts. We have more than 70 episodes on our PVR and she can tell you within the first five seconds of an intro what the episode is about and who is in it. She’s even watched most of the other (older) Kratt’s Brother’s shows. 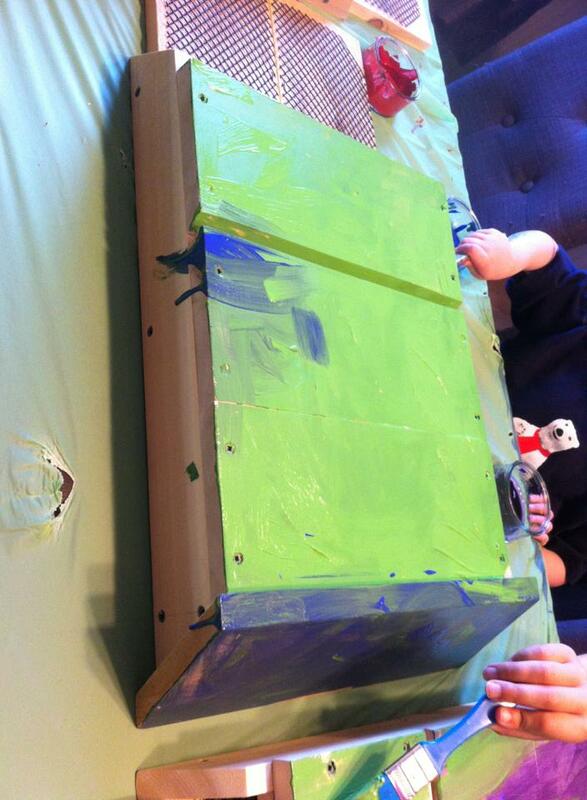 For her fourth birthday last summer, she insisted on having a Wild Kratt’s-themed birthday party with a small group of 3 other children she hand-picked (mostly cousins) and a request to make bat boxes. Yes. bat boxes. She saw the episode that discussed the epidemic facing brown bats and at the end, the Kratt Bros. told kids how they could help – by building bat boxes of their very own. So this is what she wanted to do. She wanted all the kids to build bat boxes. My husband and an uncle who is fantastic with wood working/building, studied how to build the boxes and made several of them for the party (yup, awesome uncle we have!). The kids got to paint them – but only after watching the episode at MJ’s insistence. She then wanted them to take them home and hang them up so as many people as possible could save the bats. For more information on why we need bats and building your own bat box – check out this post on buildapedia. 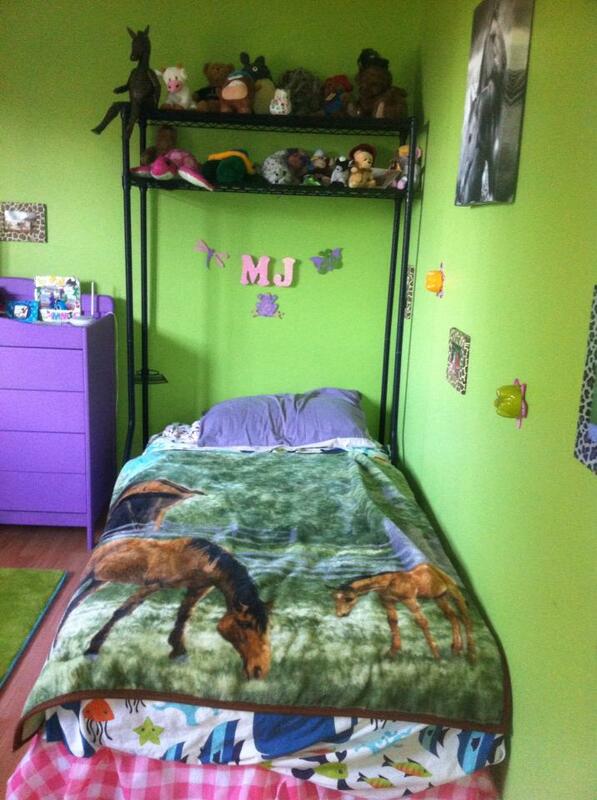 We redid MJ’s room this summer as a special reward for once she was potty-trained. Updated from “baby” to be something that reflected her personality and interests. She was heavily involved in the project, from crafting to painting. At the end of the process, her room had two blue walls with sea-creature related crafts/pictures and two green walls with horses and land-loving animals. I even managed to find a fleece blanket with horses on it (who knew they made these things). All of the decoration dictated by my four-year-old. And now her room is a space she loves to go to and a comfort when she is upset. However, we’ve been able to channel that interest/obsession and use it as a learning tool. Temple Grandin has said she tells parents and teachers to tap into a child’s obsessions and special interests and use them to motivate. This is exactly what we are doing. When she struggles with eating, we’ve been able to get her to eat by playing a game called animal bites. We take turns choosing animals (and with her passion, we never run out and rarely repeat over the course of several days) and she takes a bite to show us how that animal would eat. We’ve found that when she struggles with understanding concepts or new skills that if we can relate it to animals, she immediately gets it. For example: If a platypus had four eggs, but a predator came and took one, how many would be left. She easily answers. However, if you ask her that math in any other context we get “I don’t know” or any other assorted behaviour/disinterest and avoidance of the task demand. Until we learned to use her obsession to our advantage for teaching academics, we really had no idea how much she actually knew – it was all locked inside her waiting to come out, waiting to shine. She blows me away with the amount of mental math she can do when you put it in a context she is interested in. She’s also been desperate to learn how to read but frustrated because phonics are not working for her. We’ve worked out a new method (another post!) and have been choosing books that focus on animals and man, oh man, she’s picking up words left and right. You may not be as lucky as we are with an obsession that translates easily into the every day world, but stop for a minute and think about ways that you can incorporate their interests into every day learning – if it’s spinning; teach them to count by finding out how many spinning tops you can spin at once. If it’s cars and trucks, teach them life skills by using cars and trucks as an example – something they are interested in and can wrap their mind around. It might take some researching if you don’t know as much as they do, but you’ll also learn in the process too. If you have a child on the lower end of the spectrum, these examples may not work for you, but you can use the basic principles. Your pictures and schedules can have graphics of their special interests so they are more inclined to want to look at them. These items can then be used as positive reinforcements each time they complete a task demand you place on them, i.e., they can watch 5 minutes of their favourite show when they do x, y, z – they’ll learn they get to focus on what they want, once they do what you want. What obsession does your child have? If you have trouble coming up with ways to incorporate it, leave us a comment and we’ll be happy to help you brainstorm ways that you can incorporate it into every day life and learning. ← Facing My Own Autism Traits – Do parents have autism traits which are milder then their children? My Monkey is also going through a lego phase. His primary obsession has always been cars, trucks and all things that have an engine. I agree! I had a teenager tutoring Lan in math last year who broke down Algebra in terms of action figures. Lan’s fascinations tend to rotate from time to time but I have found that the area of interest is usually a great “carrot” to influence desired behaviors. After ten years I don’t mind until I step on a LEGO, barefooted! OUCH!! !